The Court of Appeal for the Second District held that a denial of class certification cannot establish collateral estoppel against unnamed putative class members. Bridgeford v. Pacific Health Corporation, et al., No. B227486, 202 Cal.App.4th 1034 (2d Dist. Jan. 18, 2012). Plaintiffs Bridgeford and Tarin filed a class action complaint in May 2010 against Pacific Health Corporation and other entities, alleging that defendants committed numerous wage and hour violations, including (1) failure to pay wages due upon discharge or resignation, (2) failure to pay regular and overtime wages due semimonthly, (3) failure to provide meal breaks, (4) failure to provide rest breaks, (5) failure to provide itemized wage statements, (6) failure to pay minimum wages for time worked off-the-clock, (7) failure to pay overtime wages, and (8) unfair competition. Id. The trial court sustained a demurrer without leave to amend. Id. Plaintiff’s appealed, contending the trial court misapplied the doctrine of collateral estoppel in holding that their class claims are precluded, and there is no basis to dismiss their individual claims or their representative claims under the Labor Code Private Attorneys General Act of 2004 (PAGA) (Lab. Code section 2698, et seq.). Following the recent U.S. Supreme Court decision in Smith v. Bayer Corporation, — U.S. —-, 131 S.Ct. 2368, 180 L.Ed.2d 341 (2011), the Second District held that unnamed putative members of a class that was never certified cannot be bound by collateral estoppel. Id. The court concluded that “if no class was certified by the court in the prior proceeding, the interests of absent putative class members were not represented in the prior proceeding and the requirements for collateral estoppel cannot be established . . . .” Id. 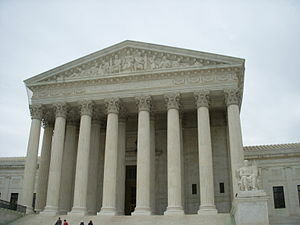 The Second District found the reasoning persuasive and concluded that “under California law, that the denial of class certification cannot establish collateral estoppel against unnamed putative class members on any issue because unnamed putative class members were neither parties to the prior proceeding nor represented by a party to the prior proceeding so as to be considered in privity with such a party for purposes of collateral estoppel.” Id. The court reasoned that since plaintiffs were not named plaintiffs in a prior case and the trial court in the prior case denied class certification, “plaintiffs as unnamed putative class members . . . cannot be bound by collateral estoppel with respect to any issue decided in connection with the denial of class certification.” Id. Associate Justice H. Walter Croskey wrote the opinion for the Court. Presiding Justice Joan D. Klein and Associate Justice Patti S. Kitching concurred. Law Offices of Mark Yablonovich, Mark Yablonovich, Los Angeles, Neda Roshanian and Michael D. Coats for Plaintiffs and Appellants. Silver & Freedman, Los Angeles, Andrew B. Kaplan and Jeffrey W. Mayes for Defendants and Respondents.